An exclusive collab between The Bunker and Kansas City's Sandlot Leather Goods. 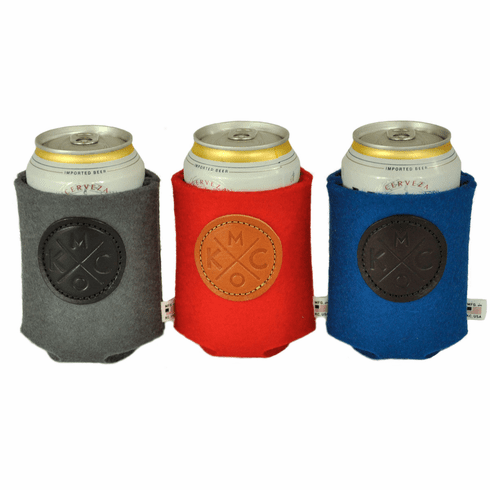 There's not a more stylish way to keep your beer cold. Made from heavy duty felt and with the KCMO� logo embossed on a leather patch. Made from heavy duty felt and with the KCMO� logo embossed on a leather patch.